I went to visit a good friend this last weekend, as well as take some photos. I had a few mini sessions scheduled and I was so excited to visit and relax without kids. My fabulous friend totally pampered me. I had my own suite in the basement, complete with a fancy Murphy Bed (I love Murphy Beds) and rows and rows of books (I also love books). Upon arrival I found a delightful present on my pillow...a little white box tied with a red ribbon. It held a camera necklace. I felt like royalty. Also, she fed me wondrous foods, never let me lift a finger and sent me to bed early where I finished two new books. 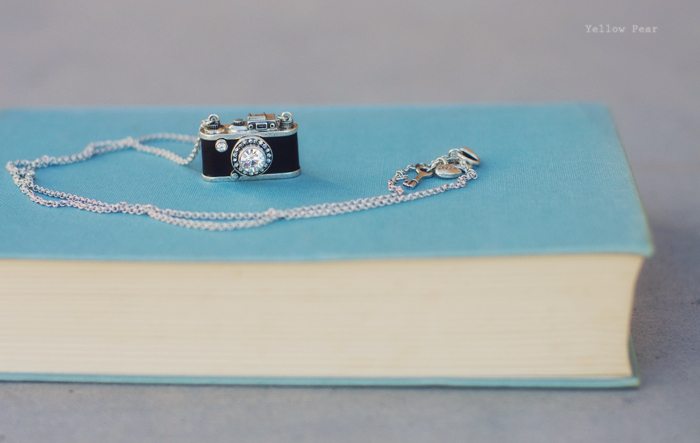 Food, books, cute camera necklace, fall leaves...bliss. I was so relaxed and at ease that I took no pictures of scenery or our adventures and I am kind of irritated. But oh well. It was a grand time. Anyway, my friend and I share of love of antiques, decorating and quaint shops and so she drove me around to visit this shop and that...browsing and getting great ideas. We were kid-free (she has four kidlets as well) and so we leisurely roamed and looked and ooohed and aaahhed. At one point during our fabulous afternoon, I received a text from my hubby informing me that Q had flushed one of the Wii remotes and that Miss B, in an effort to retrieve the remote with the plunger (not really thinking that plungers are specifically designed to push things away, not bring them back), had plunged it further into the toilet depths. Miss B was reported to have been a mere two steps behind him and saw the entire thing happen in horror-struck slow motion. Luckily Dennis has long, and very skinny arms and is easily bribed (poor buddy) or it would have been a very expensive flush indeed (and the remote survived after spending a night in a bowl of rice). After cleaning up that very large and extensive mess, including the removal of the toilet, re-caulking, and lots of mopping and hand-scrubbing...all was well...until the next day, when Q was again very quiet and was found dumping two bottles of lotion all over his room. Apparently it was quite the busy weekend. I'm secretly glad I missed it. It was much more fun to hear about it via text and not live through it personally. My poor hubby. Oh that does sound wonderful to miss! As well does your little getaway sound wonderful. I've been aching for a getaway weekend, I'm jealous but am so glad you got some well deserved down time. Too funny. Seriously that cracks me up. That's my crazy life too! I often think that if someone video taped my life it would be quite a funny show to watch! So glad you had a great well-deserved weekend off.